Admittedly, I do not read nearly enough historical fiction books, and that is something I am really trying to work on this year. 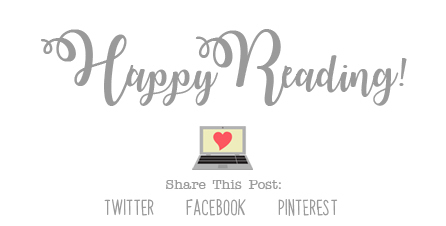 I have quite a few books set during World War II on my TBR for this year, and The Room on Rue Amélie by Kristin Harmel was near the top of my list. I was super curious to finally get started on this book, and I enjoyed it SO much more than I expected to. As I mentioned above, the storyline for this book was set during WWII, and something I have discovered every time I pick up a new book set during this time period, is that you never know what to expect from the story. There are a million stories that could be told, and every book is a new experience. The Room on Rue Amélie is set during occupied Paris, right around the time France was falling to the Nazis. I’m not really sure what I expected from this story, but I totally did not expect it to be about empowerment and resistance, and that’s basically what you get, as well as love, hope and a lot of heartbreak as well. I was completely fascinated by this book, and the end... well, the end nearly did me in. There are so many characters in this book that I absolutely love, including the three main characters, Ruby, Charlotte, and Thomas. Ruby is an American who moved to France after marrying a Frenchman, Charlotte is her teenage Jewish neighbor, and Thomas is a pilot in the British Royal Air Force. The story is told from each characters alternate viewpoint, and I love that the story was written this way. Being able to read the same story from different views is always so interesting to me. All three of these characters have such completely different lives, yet when fate forces their paths to cross, they have work together and do what they have to do to resist, and to survive. 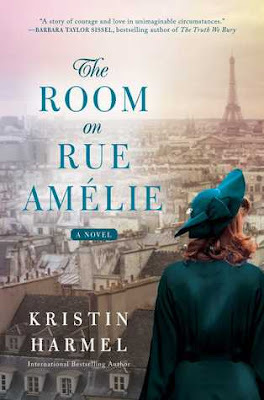 Overall; The Room on Rue Amélie is the first book I’ve read by Kristin Harmel, but it definitely will not be my last! This book was a really emotional read, and it definitely makes me want to read more books set during this time period, which is something that I am hoping to do as soon as possible. I will also definitely be checking out more books by Kristin in the future as well!